We never neglect the Groom when it comes to pampering, planning and preparation for the perfect wedding, so the next instalment of ‘The Beauty Bible’ is dedicated to selecting the best of the beauty world for the discerning Groom. We know how important the wedding beauty regime is for the Bride, but that’s certainly not to say that the Groom doesn’t also want to look his best! We often feel that the Groom is neglected when it comes to the wedding morning preparations: it’s your big day too, of course, so it’s natural that you’ll want to look your very best on those photos. Whilst certainly not the case for every Groom-to-Be, we often find that the husbands-to-be we chat to aren’t too sure where to start when it comes to beauty treatments; don’t worry, we’ll become your go-to guide! We’ll also let you know where you can buy all of the products that we feature. Last time, The Beauty Bible showcased the best fragrances for Her, so it seems only right that we do the same for Him. 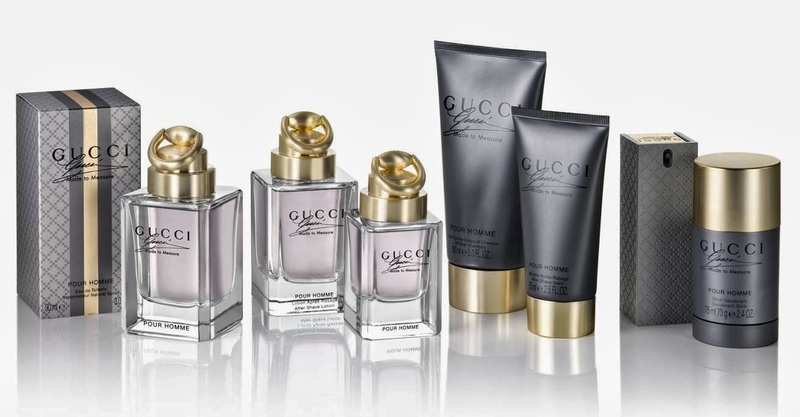 You may want to choose the fragrance that best complements your Bride’s perfume, an old favourite scent that matches your best man’s, or the aftershave that your father used to wear: perhaps, you might just chose the fragrance you like the most! Don’t forget, your Bride will be walking down the aisle towards you and the scent you choose will stay with her when she remembers the moment for years to come; our guide will make sure that you make that memory spot on. Pop along to your local Boots UK store with your Bride or Groom-to-Be and test them out! Don’t forget to let us know which one you choose. A sophisticated bottle that lets the scent do the talking, this classic eau de toilette combines citrus, cedar and sandalwood, whilst the aftershave balm of the same scent makes skin superbly soft to touch. It’s also perfectly complementary to many a Bride’s chosen fragrance: Chanel’s Coco Mademoiselle. Viktor & Rolf’s Spicebomb is a highly addictive explosion of spices, built on a balmy, woody vetiver trail. Based around strong olfactory contrasts and presented in a luxurious yet muscular grenade-shaped bottle, this brand new fragrance is simultaneously both rough and refined. With top notes of bergamot, grapefruit and cinnamon leaf, middle notes of lavender, pimento berries, saffron and elemi and base notes of vetiver, fir balsam, tobacco accord and white leather accord, it is the perfect male fragrance for all occasions. Leading the way with its use of Cypriol, an Indian root never before used in a fragrance, Tom Ford for Men combines rich, woody notes to deliver a distinctive masculine scent. Combine this with its sophisticated, Art Deco-inspired bottle and you have an eau de toilette perfect for a wedding fluid in theme and style. Created for the man who demands the very best – a man whom others aspire to be. It’s inspired by the Gucci Made to Measure suit, specially crafted with the Gucci philosophy of attention to detail. With a Heart note of Sri Lankan Nutmeg and Juniper Berry. Need we say more? The epitome of masculine class and sophistication, this suave fragrance will suit the sharp-suited Groom down to a T. Now you just need the car and you’re well on your way to a 007 wedding! Getting married on the beach abroad? You’ll need a scent that’s light, fresh and free-spirited: just like CK One Summer. Not to mention that, with notes of gin and tonic, you’ll be keen to get the evening reception started! As the name suggests, this one is just that little bit different! With a unique fusion of ice cold mint, basil and cashmeran, Just Different would suit an unconventional Groom, looking to escape tradition and have their wedding their own way: quite rightly so! All of the fragrances above, and more, can be purchased from our wonderful partner Boots UK. As always, we’d love to hear your suggestions: leave us a comment below and let us know which scent you’d recommend to fellow Grooms-to-Be or. Don’t miss our weekly instalments of The Beauty Bible: subscribe to the WeddingHour blog today and get the post delivered straight to your inbox.